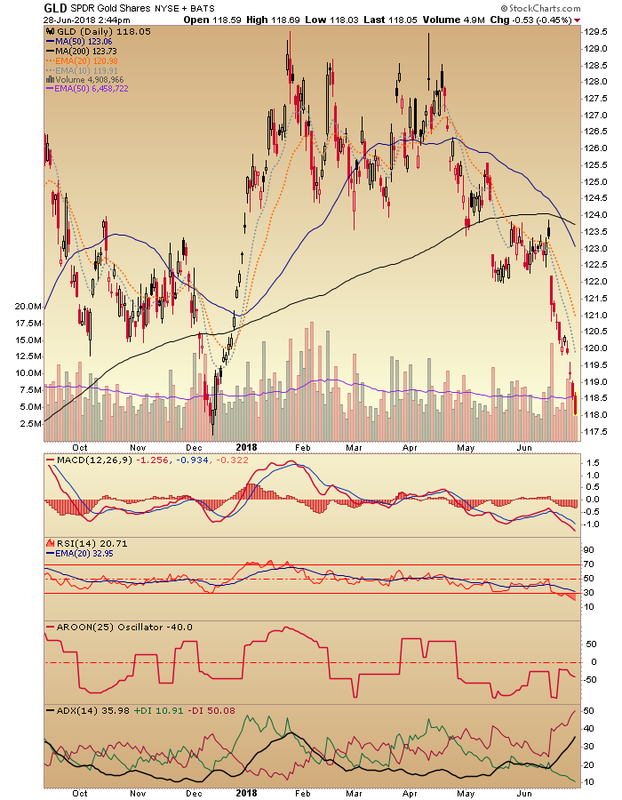 The GDX/COPX ratio has broken above the 50 & 200 day moving averages and is still going, despite gold�s ignominious state at the moment. Here�s what gold (GLD) looks like today. Here is what copper looked like at yesterday�s close (in-day today it is a hair under 3, at 2.9981/lb). And yes, that is important support. 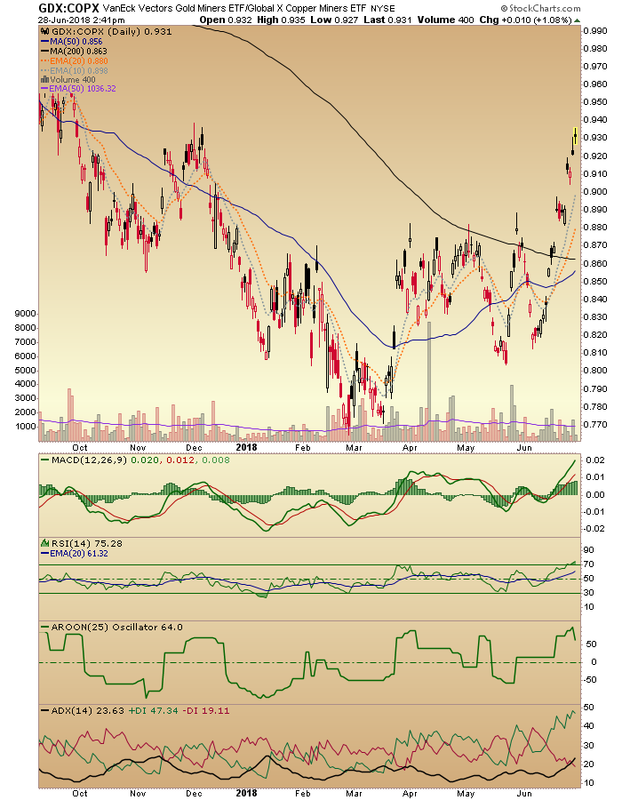 Against the broader Industrial Metals complex GDX is weaker. 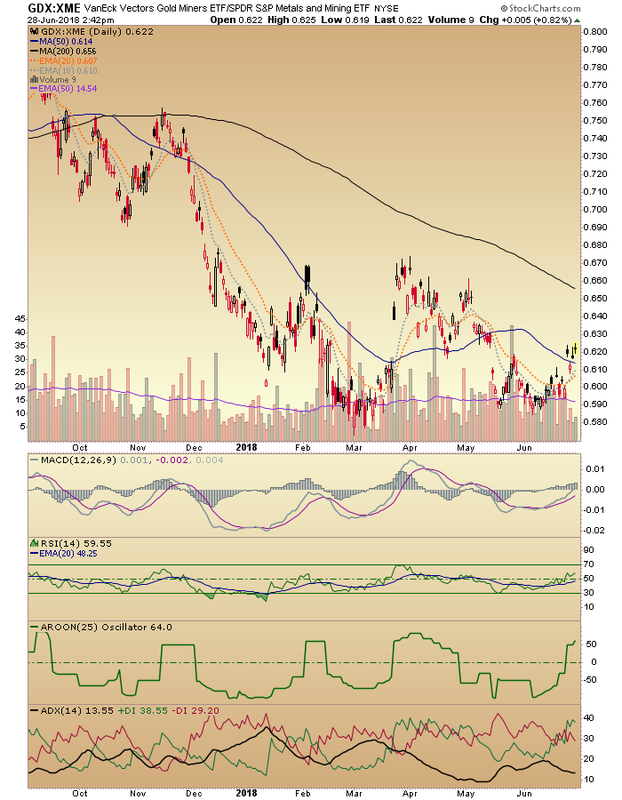 But XME includes � you guessed it � gold miners and gold royalty companies along with metal service centers and the like. In other words, it�s not just a pure play on IM miners. 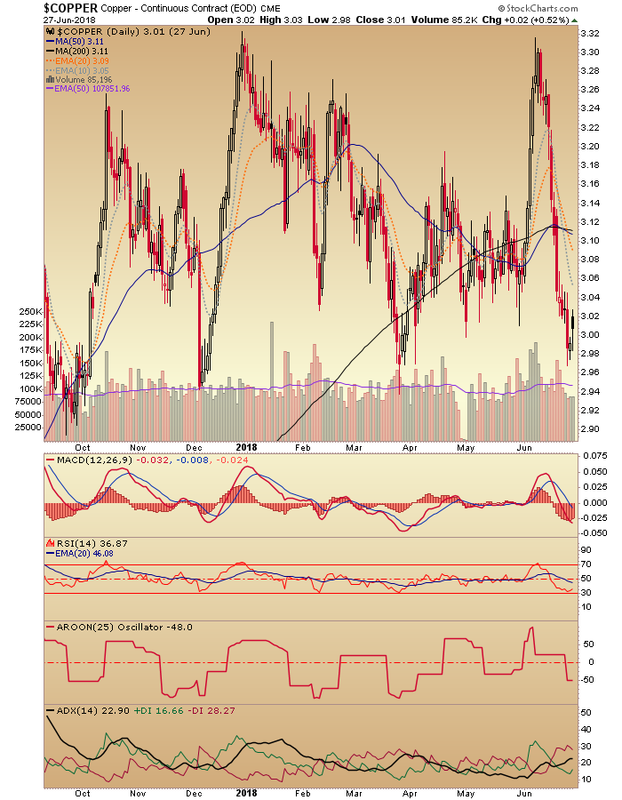 All in all, I do not have an overly bearish feeling about gold and its miners at this time. In fact, I don�t have a bearish feeling at all, even though traditional sector indicators like HUI/Gold and Silver/Gold have sagged over the last few days. That is because with the gold sector you think about being brave when the blood is flowing, not when the inflationary gold bug touts are leading the charge. Bottom Line: Though both are weak, miners of a counter-cyclical metal are doing better than miners of a cyclical metal in June.